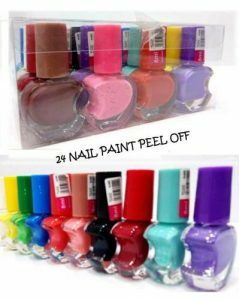 Online Shopping in Pakistan 24 Peel Off Nail Paints – Multicolor with Free Home Delivery and Payment On Delivery.24 Peel Off Nail Paints – Multicolor (Product Code: ) offer by DiscountMall at just ₨1400/- instead of Rs 1600/-, enjoy Fast Shipping with FREE HOME DELIVERY. 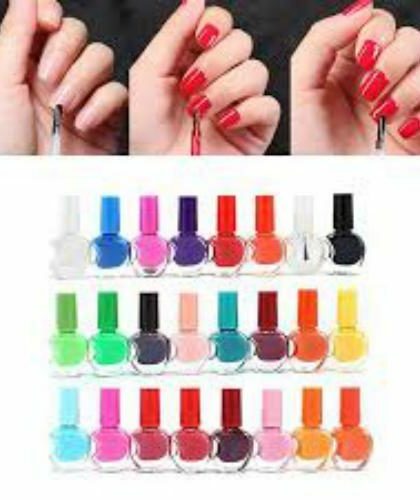 Long lasting for at least 2-3 weeks, without chip or peel.Made by non-toxic and harmless resin. Color resistant, flexible and shiny resistant to any test. 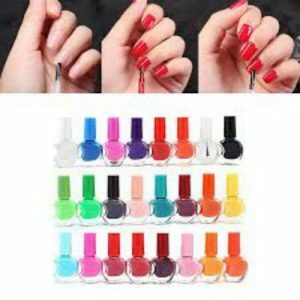 No Harm to skin.Please note: These Gel Polishes need to Cure under UV lamp or LED lamp.We focus on manufacturing nail products about Twenty years. 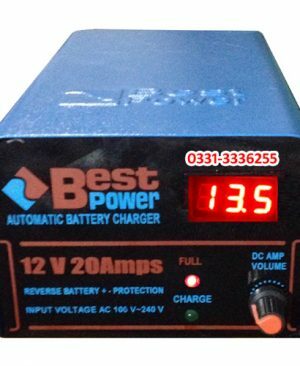 We encourage our customers can contact us first, any question we will try our best to help you.